We are so happy to have you visit Bakers Bed and Breakfast! 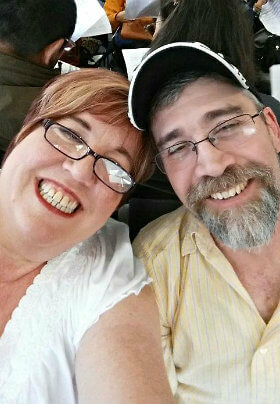 We have been married almost 30 years and have 3+ kids, and a handful of wonderful grandchildren! Mark loves to work in the yard and create things, when he’s not fishing or traveling for work. Karen (the Innkeeper) loves to cook for our guests, repurpose items, go antiquing/junking and loves going to see the latest movies. We have lived in Blair, NE for almost 20 years so far and we love it here! 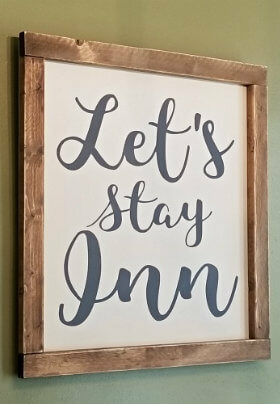 Blair is an amazing community near Omaha and we a proud to have created a place for guests visiting our town to stay as an alternative to a basic hotel. We love meeting new people and creating a space for them to feel at home…a place to feel completely comfortable and relaxed. Our home was built in 1900 by IC Eller, a local attorney at the time. He went on to become one of the first judges in Washington County. Because we are a small B&B, cancellations and no-shows impact our business significantly. Due to this fact, cancellations must be made 14 days in advance for full refund. Any cancellations after that time will be charged the full price of the booked stay, less the days we are able to rebook.